Who are the hottest mid-major coaches in need of a job upgrade? The college basketball hiring season is only a few months away. UCLA is the biggest job opening out there now, but more programs will soon be in the market for new coaches. 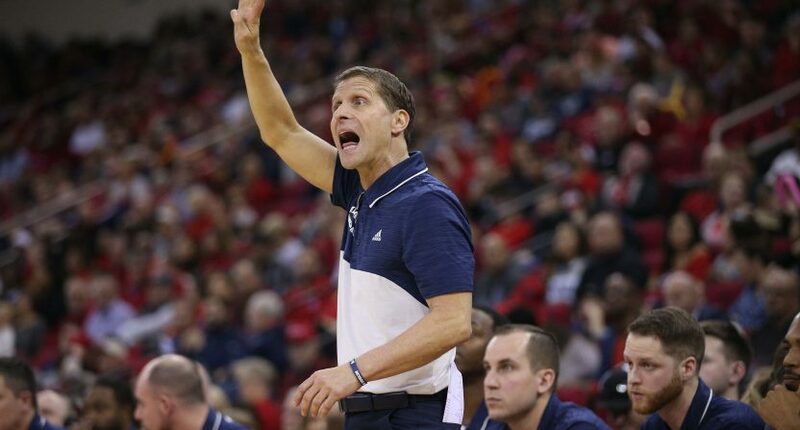 Eric Musselman checks all the boxes and will be highly coveted. He has everything a big-time school would want. He’s proven himself by turning Nevada into one of the best basketball programs outside the top six conferences (other than Gonzaga, obviously). Nevada reached the Sweet 16 last year for just the second time ever and has a legit chance of being a Final Four team. He built the Wolf Pack by successfully mining the transfer market – a necessity in today’s college basketball world. Musselman also has NBA experience. He was the head coach of the Golden State Warriors (2002-03, 2003-04) and Sacramento Kings (2006-07). While he was fired from both jobs – his time in the pros is an asset for a college coach. NBA experience is attractive when it comes to recruiting high school talent. Musselman to UCLA makes too much sense, right? He’s a self-made success at the college level. Imagine what he could do with the Bruins’ resources and the wealth of talent in Los Angeles. However, UCLA is a great job but it’s not an easy one. It has financial constraints that other traditional powers (Kentucky, Duke. North Carolina, Kansas) don’t have to deal with. Musselman figures to get a lot of offers and sustaining success at Nevada would be difficult. As a bonus, Musselman seems like a fun guy. Most thought that Buffalo would return to mediocrity after Bobby Hurley left for Arizona State in spring of 2015. Hurley did an incredible job of getting a program with no tradition to its first ever NCAA tournament appearance. Usually a school like Buffalo would regress to its previous form. Nate Oats has not only proved there’s life after Hurley, he’s been an improvement. Last season, the Bulls crushed No.4-seed Arizona 89-68 for their first-ever NCAA Tournament victory and the greatest sports moment in the history of the school. This year, the Bulls are enjoying their best start in program history, including winning their first 11 games. They’ve beaten West Virginia and Syracuse and are in position for an NCAA tournament at-large bid. They’re ranked No. 14 in the Associated Press poll, but were upset Tuesday night at Northern Illinois. Oats was Hurley assistant for two seasons. Prior to that, he was a high school coach in Detroit and a Division III assistant. But his success is too great for bigger schools to ignore. He’ll be one of the most sought-after candidates in the next coaching hiring cycle. Murray State has long been the place where major-conference teams go shopping for head coaches. Four of the past five Murray State coaches have landed good jobs: Mark Gottfried (Alabama), Mick Cronin (Cincinnati), Billy Kennedy (Texas A&M), and Steve Prohm (Iowa State). Murray State is the Ohio Valley Conference’s flagship school, so anyone who’s been through that program knows the intense pressure to win. Matt McMahon took over for the extremely popular Prohm, who guided the Racers to its most successful run. He was 104–29 during his four-year stint, including 31-2 in his rookie season. McMahon struggled in his first two years and took considerable heat for a 16-17 second-year mark – the first losing record for the program since 1986-87. But since then, the Racers have returned to their elite level. They went were 29-6 last year, reaching the NCAA Tournament for the first time since 2011-12 season. This year, they’re 15-2, powered by likely NBA lottery pick Ja Morant. He might be the best player in college basketball who’s not on Duke’s roster. McMahon’s background is almost exclusively at the mid-major level, save for one year as a graduate assistant at Tennessee. Still, if you’re looking for someone who understands how to build at a school with high expectations, McMahon might be your guy. Miller was thrown into the fire early. He was promoted into the job on an interim basis at the age of 28 to become the youngest head coach in the nation. He was hired when Mike Dement resigned after a 2-8 start in December 2011. UNC Greensboro began 2-14 but finished with an 11-5 down the stretch to win the Southern Conference North division title. Over the next four seasons, he posted losing records. But over the past three seasons, he’s 68-21. Last season, he guided the Spartans to just their third-ever NCAA appearance and first since 2001. They played No.4 seed Gonzaga tough before losing 68-64. Miller has built a reputation of being a solid tactician. He drew up a game-winning alley-oop dunk play against The Citadel in his rookie year. Miller, a former UNC player, was a member of its 2005 national championship team. Being a former Tar Heel and having connections to Roy Williams will open doors for you. His combination of youth and experience is appealing. His steady work will lead some major conference program to give him a job. Earl Grant is a Gregg Marshall protégé, having worked under him at Winthrop and Wichita State. He also coached under Brad Brownell at Clemson for four seasons. Grant, working near his hometown of North Charleston, took over under less than ideal circumstances. Former coach Doug Wojcik was fired following allegations of verbal abuse. Grant was 9-24 in his first year but has made the College of Charleston relevant again. The Cougars have slowly improved, and last year they won the Colonial Athletic Association title and reached the NCAA Tournament for the first time since 1999. Charleston had a chance to upset No. 4 seed Auburn, but was hurt late in the game by a botched call and lost 62-58. Grant was rumored for numerous jobs last season. This year, Charleston got off to a 13-2 start before losing four of five. Still, Grant should be an attractive candidate.